Tonight:Acre 121 celebrates Leap Year with a five-course feast of oysters prepared in various ways. The briny journey kicks off with raw East Coast oysters on the half shell, followed by the classic Rockefeller-style baked and stuffed variety and subsequent stewed, fried and broiled incarnations, as well. No meaty mollusks for dessert, however. They're serving lemon curd instead. Price is $45 per person and, as of press time, a few seats are still available. Coming up: Tickets are now on sale for Alchemy of Great Taste at Eastern Market, a charity event on March 10 benefiting Tyler Elementary and featuring local beers from D.C.'s Chocolate City Brewery and food from Granville Moore's and Trusty's. Get yours here. Tickets are also available for another upcoming charity dinner called Pints to Help Half-Pints, taking place at Birch and Barley on March 12. Proceeds benefit the children's Museum of Unnatural History creative writing program. Book your seat here. For more info or other options, click on any link in the Y&H food events calendar above. 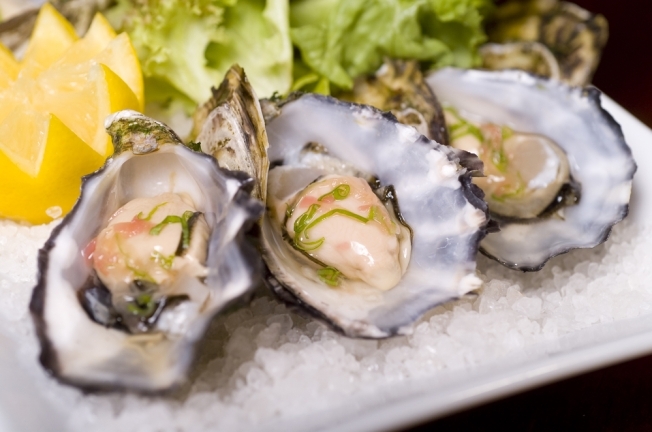 What To Eat Tonight: Oysters Five Ways at Acre 121 was originally published by Washington City Paper on Feb. 29, 2012.